It’s not that everything the PRC does is bad, but some things are inherently dangerous, no matter who developed them or uses them extensively. This sort of technology can very easily become a direct assault on our ability to be anonymous in public spaces. The road to Hell is paved with good intentions. Governments can’t be trusted with such capabilities, and we don’t even need to invoke nefarious intent or “Big Brother-y” conspiracies to see that. Governments will end up misusing, even abusing, this sort of thing just in the ordinary outcome of normal bureaucratic imperatives to justify the bureaucrat’s and his bureaucracy’s existence, to grow, to expand the bureaucracy’s power and budget. William Bratton, the former commissioner of the NYPD, says that the public was similarly worried about DNA testing when the technology first emerged. The technology has been credited in freeing wrongfully convicted people from prison. This is a false analogy, though. DNA testing isn’t used for routine, real-time surveillance of the population or even of small groups or of individuals, and current technology doesn’t allow such use. 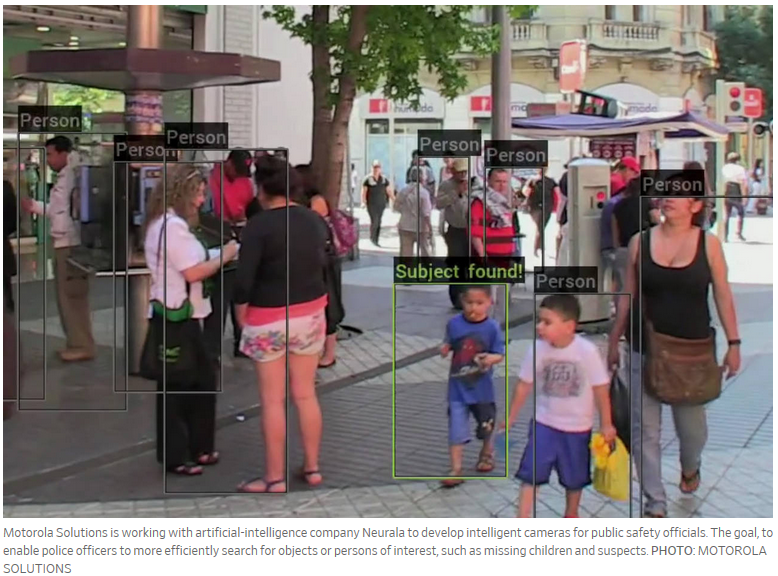 AI-based image surveillance technology lends itself to exactly that real-time watching.